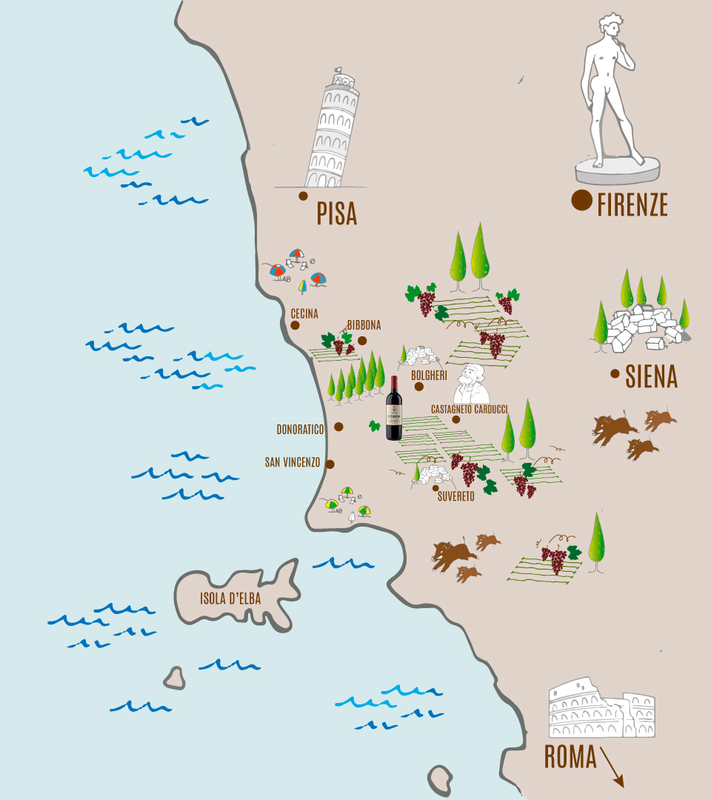 Our area of Tuscany is extremely well known for being suited for viticulture. Having a large quantity of vineyards on very different soil types (terroirs), allows us to source our grapes from very differet places in Bolgheri and it's neighboing areas. This “metissage” to use a French word that describes the mix of races and cultures, enables us to enrich our wines and gives them a unique personality. Our philosophy is to use the least interventions possible in the winery, treating as gently as possible the fruits, to obtain the best expression of each terroir.